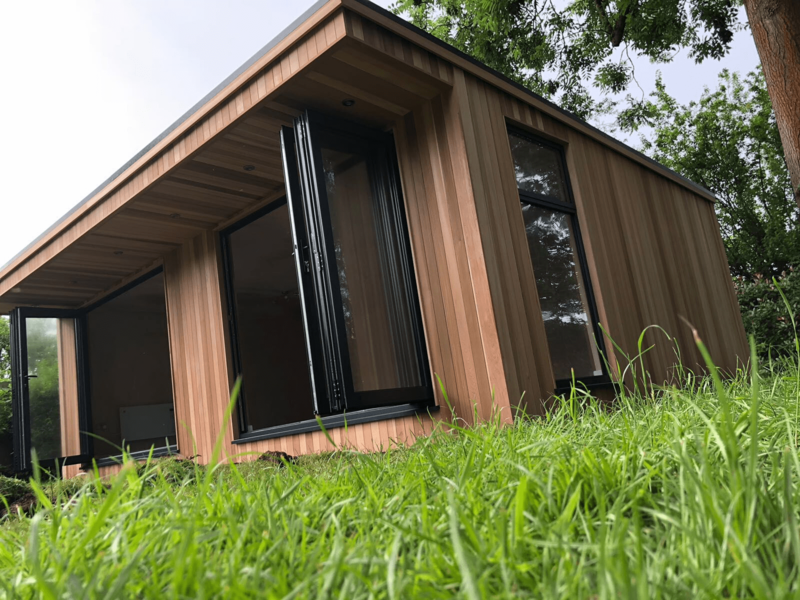 Whilst we’re a top choice for a new garden office or art studio – one of the most popular uses for our modern garden rooms is that of a home garden gym. With more and more people taking an interest in fitness and their own health, it is an investment in which the returns can be priceless for your health and wellbeing. UK gym membership spending is up by 44%, especially with budget gyms like PureGym and The Gym Group taking the UK by storm. However we’ve found that approximately 60% of the population actually prefer to exercise outside – with 40% of being women. Let’s be honest – gyms can be pricey in the long-run. Sometimes these spaces of exercise are overwhelming and possibly even intimidating to be around – not to mention finding the time to go to the gym can be daunting in itself. Your own personal gym could be the right answer if you’re after your own equipment, time, privacy and most importantly a space to completely be yourself. No more nasty terms and conditions to surprise you for not going regularly! If you’re new to training, it can be particularly embarrassing to exercise in public. Whilst in reality, nobody is really bothered about what you are doing or what you look like, the perception is that everybody is looking at you whilst you are wheezing away on the running machine, red faced with sweat dripping everywhere. You may also be uncomfortable with the communal changing rooms and showers. Imagine the sheer delight of exercising and building muscle in the comfort and privacy of your own garden gym. With the discomfort and embarrassment banished, you’re free to concentrate on what matters, training and getting fit. 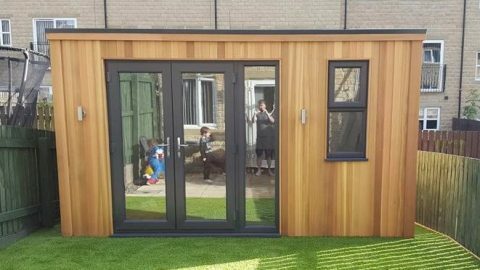 The external look of your garden room should be both inviting and aesthetically appealing to match with the rest of your house. 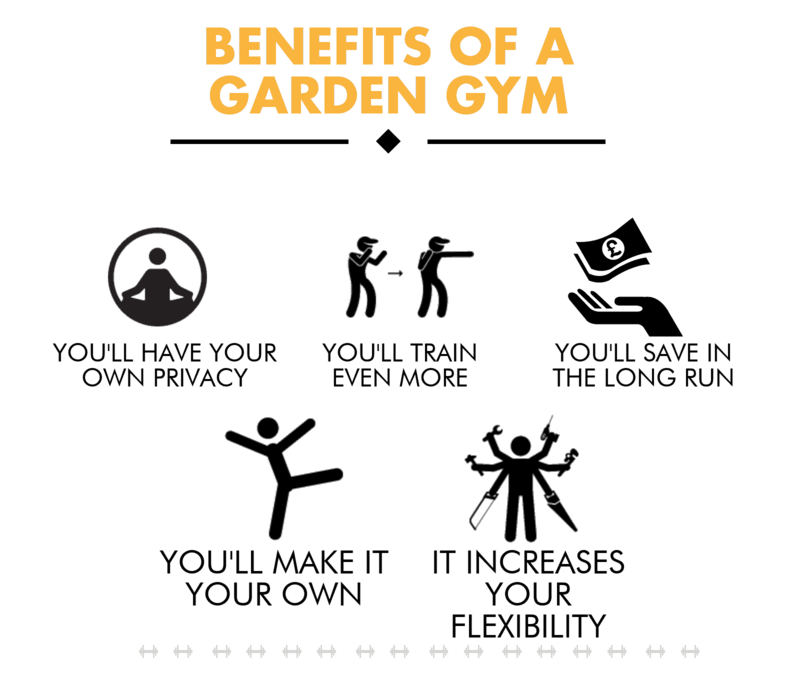 Garden gyms need to be inviting as remember – a typical gym inspires activity and confidence before a workout which your own garden gym needs to replicate! Even if you love going to the gym, sometimes it can be difficult to find the time to go. Work, family and your social life can all get in the way and you can easily miss a few weeks training before you’ve even realised it. That’s why a garden gym is so useful. Set in the privacy of your own garden, you don’t need to drive there or make any effort to leave the house. Simply step out into your garden and into your garden gym and start training. If you currently pay a monthly fee for using a local gym, then you probably paying somewhere between £25 and £50 per month, possibly more. That means you could be paying upwards of £600 per year. Compared to a garden home gym, once you’ve factored in the initial cost of purchase, installation and equipment, you then have virtually no ongoing running costs. Within just a handful of years, you’ll actually be saving money every time you train. Choosing the exact equipment you want in your garden home gym allows you to make excellent use of your own space – and can even result in you exercising more often! When you’re done with a days’ work, putting the kids to bed or need to let off the steam you can ‘nip to the gym’ just a few yards away. 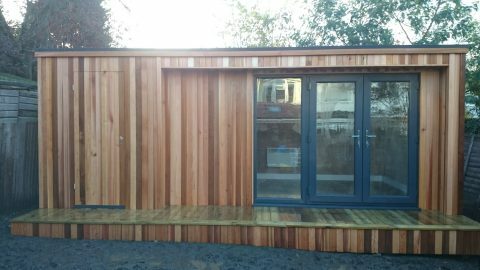 Our range of garden rooms has the capacity and atmosphere to suit your workout needs. 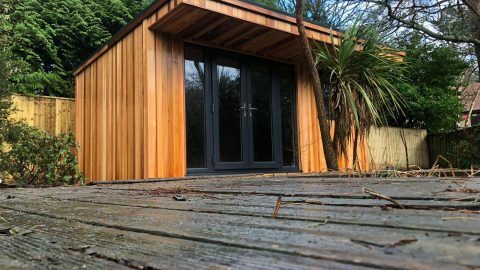 Having your own garden home gym doesn’t have to be all about having the latest fitness machines and weights in there as it’s becoming increasingly popular to diversify how you train in a multitude of different sports and activities. Thanks to the Ultimate Fighting Championship, more and more people are turning to sports like Brazilian Jiu Jitsu and Judo to keep fit, learn self defense and sometimes compete. Often, because of the need for a matted area, you are limited to training at your local gym/dojo. However, with your own garden home gym, you could easily have this matted and have a home training facility for you, friends and family. Trying to juggle the demands on life can be a very hard thing to do. Our garden gyms are quick to install and customisable, which means you can get furnishing right away. One of the best ways to use your space optimally is to carefully plan and your garden home gym features during the design process. This allows for forward planning and can even save you from buying unnecessary equipment/add-ons in the long run. 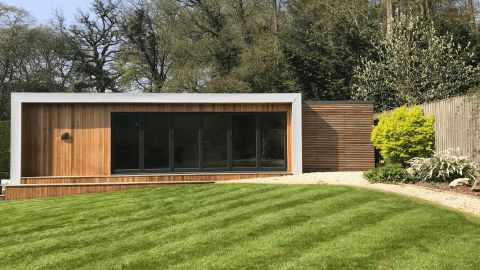 After careful consideration of the kind of garden room you want – the next thing you’re probably going to think about is the exercise apparatus you’re going to install. With garden rooms being relatively small in height compared to other rooms in your home, machines like treadmills may be an issue. The flooring and walls you choose will highly determine what equipment you install. 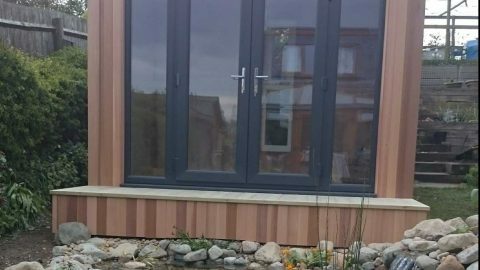 Many garden room owners love wall-to-wall glass, however this can limit your placement of equipment (though might not be a huge concern to other owners) if you’re after a fair amount of privacy. Your flooring needs to be well thought out if you intend to do more weight training, so selecting specially made rubber gym matting can make a huge difference to the quality and life of your flooring. You need to realistically ask yourself if you can fit time around your busy schedule to make use of your own garden home gym. If you find that going to a gym with others doesn’t fit around your work-life pattern then a garden room gym is highly recommended to combat this problem. One of the main benefits of having your own gym is knowing you have everything you need in the comfort of your own home to maintain your physique and improve on your fitness, eliminating any need to consider joining a local gym, as well as travelling to and fro. Installing gym equipment is just one part of the equation when it comes to making your garden room gym feel like one. We encourage you to really think about the space as a whole, the wall colouring, decor, flooring and everything else to the last detail. You want your space to be inviting and give you a sense of motivation to walk in and exercise. Coming home to a garden room with drab interiors doesn’t inspire much confidence. We also recommend using your current garden design around your garden home gym to help it blend in with the rest of the home, promoting synergy in your home design. 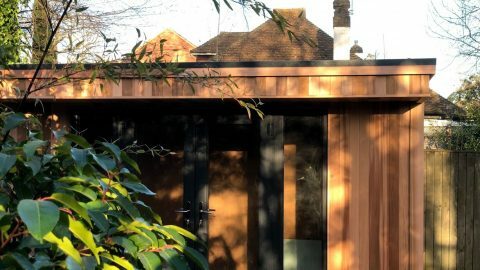 A garden room is a life-long investment. 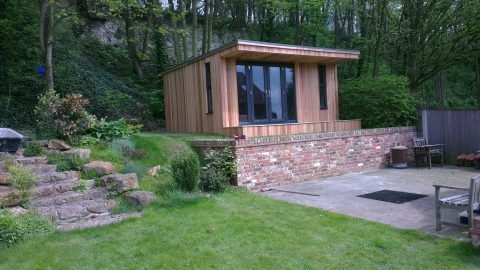 Should you ever wish to sell your property then a garden room will also add considerable value to a potential buyer. 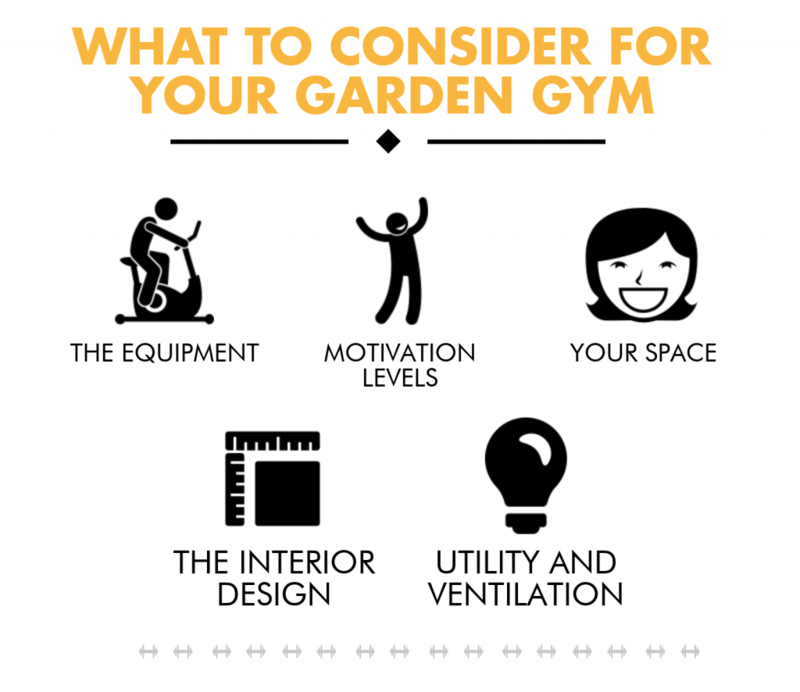 By keeping your garden room gym design up to date, inviting and feel like a workout space. But you should also consider and be flexible towards change – maybe it can double up as a guest room or turn into a new play room if you intend to start a family. 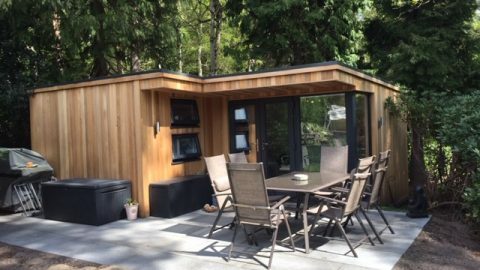 Even though this isn’t the first thing that comes to mind, it is in fact one of the most important aspects when designing your garden room. 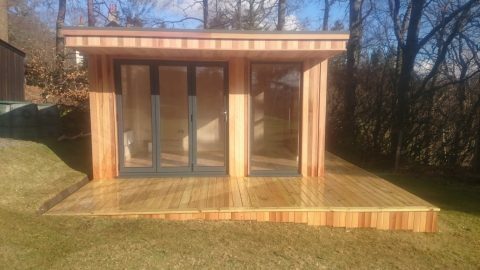 Should you decide to use it as a garden room gym, you will need to consider your lighting, heating and placement of sockets. To avoid untidy cable runs we generally build sockets into the floor. A common form of lighting our customers ask for are spotlights with multiple circuits (as to dim/light up some parts of the garden room) – due to their lack of heat generation. They are also a beneficial form of energy saving functions. Sound systems are popular in modern day gyms as they inspire motivation and provide a ‘workout atmosphere’. It is worth discussing with our designers if you’d like recessed speakers or installation of a TV. You can also discuss the possibility of installing a shower/toilet and changing rooms should you wish to make your space.